Everybody knows Tanya 蔡健雅 and A-Yue 张震岳, they are the famous singers of Taiwan and thanks to Galaxy Group for organizing, both of them are going to held a concert at Genting THIS SATURDAY 25/5/2013!!! A-Yue's songs aren't something strange for me as my seniors and the boys during my secondary school days like him so much they always perform his song during school's function, he's one of the cool Taiwan artist that have his own way of producing music. Same goes to Tanya, I've started to listen to her songs few years back, her soothing voice and with the sound of her guitar strumming, the atmosphere is so relaxing yet filled with meaningful lyrics. 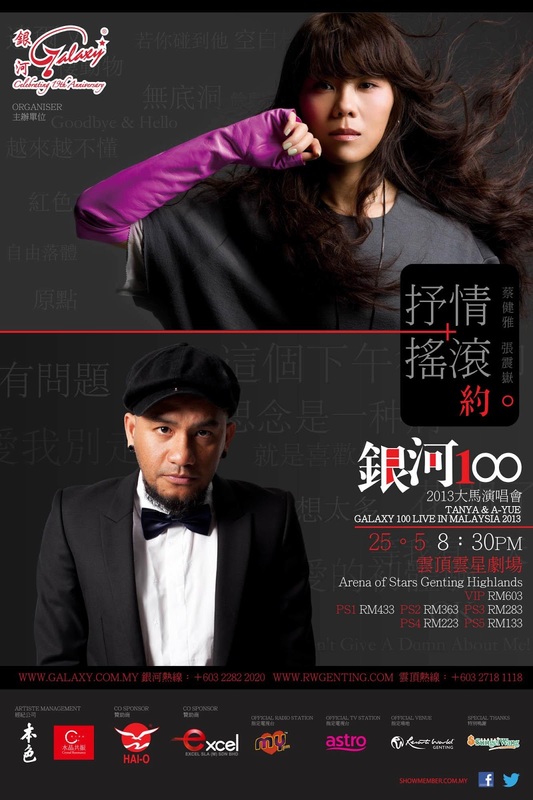 Thanks to Galaxy Group, both of them are going to held a concert together this Saturday (25th of May 2013) at Genting's Arena of Stars! The concert will start at 8:30p.m. on that day and the show will go on for 2 to 3 hours. I just can't wait to see Tanya and A-Yue perform already! 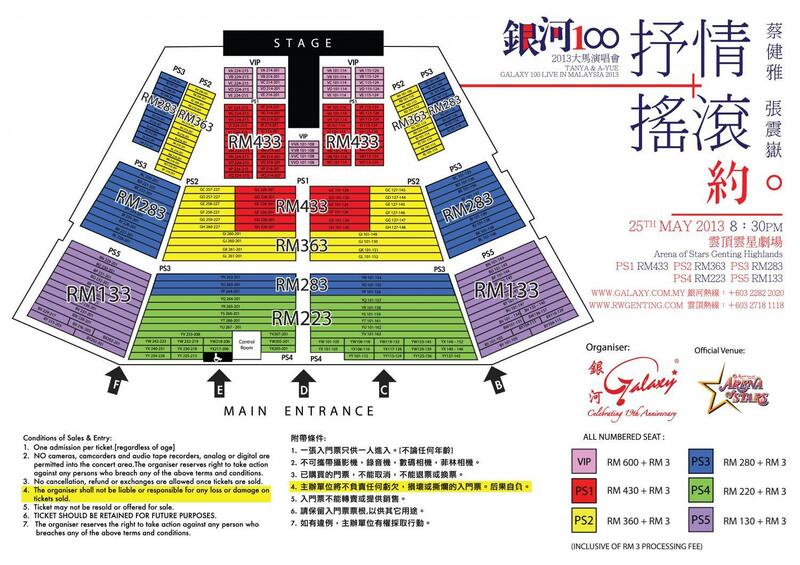 For those who are interested in purchasing the ticket for the show, do it now before all the good seats are gone!